Become a Patreon Supporter and start supporting the #NOTlistening website today. What can I offer YOU the patreon? 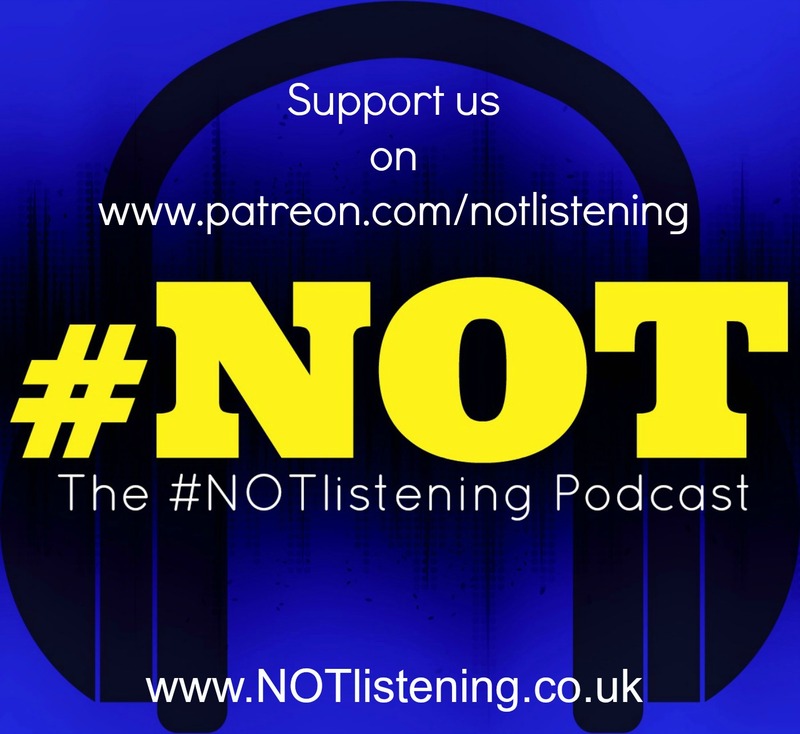 Well, seeing as The #NOTlistening Website offers FREE podcasting, videos and blogs it does seem like you are not getting much for pledging......well that isn't true. By pledging and supporting the #NOTlistening website YOU are keeping the creativity and entertaining content going. By the sheer thought of others out there getting behind us, it makes it all seem like we are stepping it up and opening up more doors to creative content. By getting some backing from the readers and listeners, it will enable us to (over time) upgrade our podcasting and video equipment, sustain a self hosting website and domain name, being able to cover costs of challenges and exciting activities for the #NOTlistening website. There are also rewards and perks we will be offering from invitations to Hangout with us online, have episodes dedicated to you, have you as a sponsor of the show and much much more. Obviously if we can gather a load of people to support this way it would make it worthwhile. Either way, I am looking for support. - #NOTlistening Podcasts. Get in more Celebrity Interviews and do more LIVE shows, including a possible LIVE STAGE SHOW. - #NOTlistening Videos. Get the You Tube channel more active. Upgrading equipment or even getting better imaging and logo/branding professionally done. This would include more Vlogs, Challenges, Tags and even re-invigorating the #Mashion channel. - #NOTlistening Blogs. Blogging is a key part of what we do at #NOTlistening. This would cover the main website posts as well as making #Mashion and the Lifestyle blog "NOT got anything nice to say" Blog more focused and adding more content. Again, this doesn't all revolve around money. I am not here to tell you to give me money so I can do these things, I am trying to create a BUZZ and support network that gives YOU an opportunity to get behind. If you choose NOT to give money, BUT do want to spread the word and support, then that is still a good decision in my book. So, Please, take a look at the website, listen to some podcasts and see if you think this is something you wouldn't mind supporting.